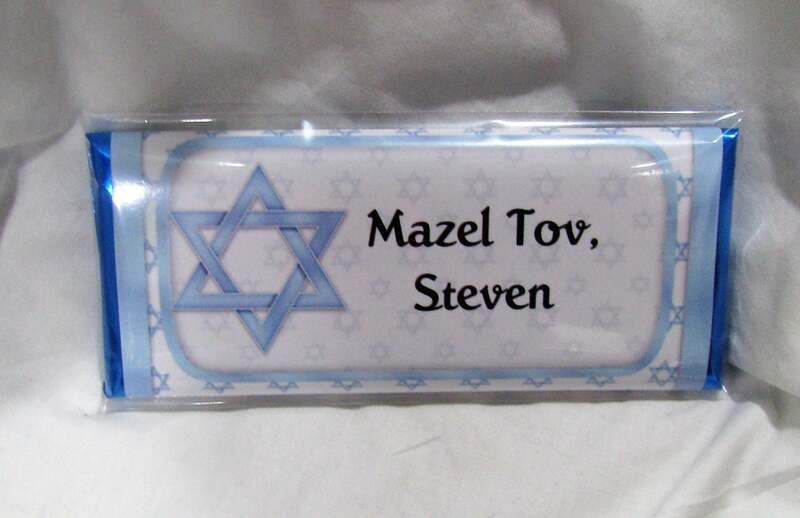 Jewish Bar Mitzvah Favors - Bar Mitzvah Favors - Jewish Wedding Favors - Personalized Hershey minis for everyone! 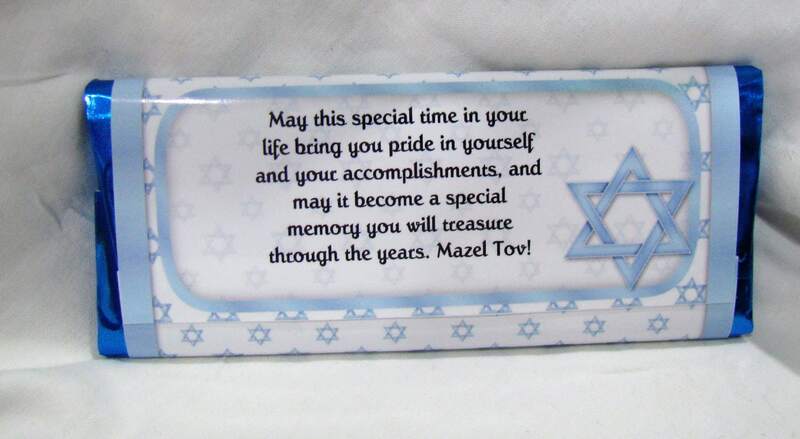 These fun Hershey full sized bars come ready to go on your table at the Bar Mitzvah or Bat Mitzvah or your wedding! When you order, I'll send samples out in a convo. 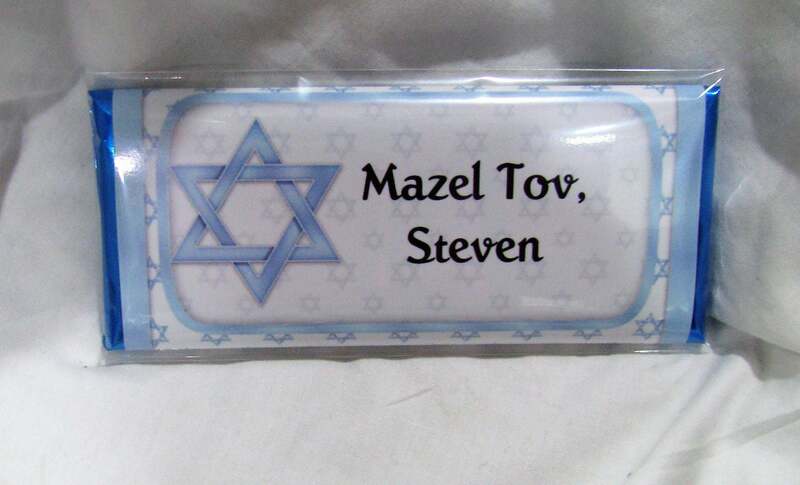 I have many colors of the Star of David as well as some other Jewish graphics. 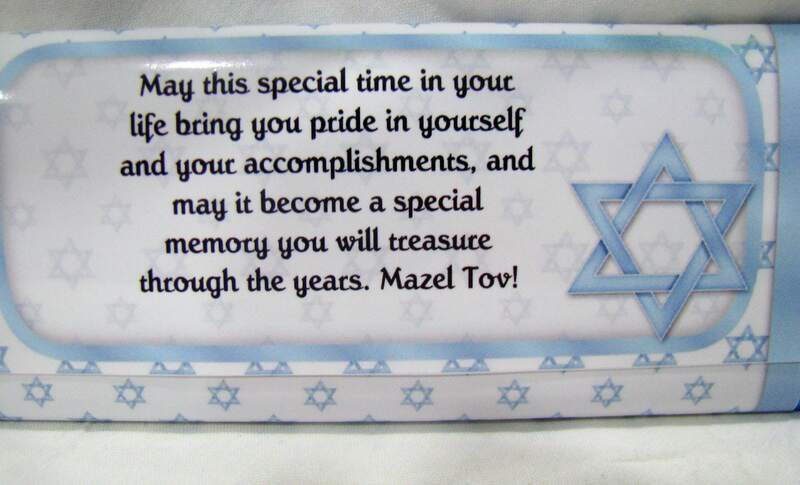 To make your Bar Mitzvah, Bat Mitzvah or Jewish wedding extra special! They are sure to be a big hit! You can also order some of our Hershey miniature bars or kisses with the same design and mix them up. You can order more than 60. This is just for shipping. Feel free to convo me so I can adjust the listing if you need more.